As the trend toward EMR Software continues, many practices--both general practitioners and specialists--are making the decision to convert from paper charts to electronic medical records. Pediatricians are among the list of doctors who stand to benefit the most from implementing a Pediatrics specific EMR. Your patients will reap these benefits as the quality of the care they receive increases. Electronic medical records make practicing medicine more efficient, regardless of your specialty. 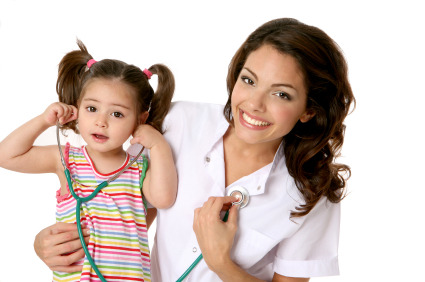 However, as a Pediatrician, your patients have different needs than adults. In the days of inefficient paper charts, perhaps it was common to see several patients before writing a single note on any of them. When you implement Pediatric specific EMR into your practice, this is no longer a concern. You will be able to compose your note while you are evaluating your patient. Along with better documentation, you will also be able to track their growth and review other medical issues they have had in the past. One of the advantages of using Pediatrics specific EMR is receiving alerts for patients immediately. These alerts can take the form of vaccination reminders, updates on medication dosages, or potential allergic reactions. Your patients' parents will be thankful that you are up-to-date on all of the latest information. In the past, coordinating care with another physician might have been difficult; especially if that physician was in a different location. Physicians who use Pediatrics specific EMR find it easier to refer to and communicate with other doctors. Referring your patients is made easy because you can track medication changes and keep the patient's care consistent. A great feature of electronic medical records is having access to tools for patient care. For example, many children require ADD or ADHD screening. The forms for this are readily available through the system. Screening can be performed quickly and accurately in your office, giving you the answers you need. Parents appreciate this type of efficiency in their children's care. Being on call is one of the most difficult components of being a Pediatrician. Parents are often frantic when they call after hours, and the burden is on the doctor to make accurate decisions quickly. In the past, restricted access to patient charts was a problem; however when you are able to log in and see your patients' medical records electronically, you will have more knowledge to give parents correct assessments over the phone. One of the most busy times in any Pediatrician's office is "Back To School" time, when many of your patients will require vaccinations and physicals. Forms that are brought from school are easily misplaced by office personnel or parents. Pediatrics specific EMR will provide you with the forms you need that you can submit electronically to the school, ensuring that they receive them the first time. It is very helpful to have your patients' family history available. Electronic medical records give you the information you need to monitor conditions your patients have in reference to their family medical history. At each visit, you can review their history and make changes as needed, ensuring that you always have an updated history on hand. Electronic medical records have changed the way most Physicians practice medicine. Technology has improved medical care a great deal, even in the past few years. By choosing Pediatrics specific EMR for your practice, you are demonstrating to your patients that you care enough to bring their care to a higher level of professionalism.